Providing full-time care for a loved one can be exhausting physically, mentally and emotionally. Using respite care, caregiver support resources, and taking time to be a part of a good support group can ease the burden and make you a better caregiver. Whether your needs include having back-up care for your loved one, a place where you can share your feelings, a network of resources to navigate the system, or a combination of all three, being part of a community of caregivers can help individuals learn from others facing the same challenges. If you are a caregiver in the Toledo, Ohio area, keep reading for local caregiver support resources. What Type of Caregiver Support Resources Are Best For Me? Respite Care is temporary care of a dependent elderly, ill or handicapped person to provide relief for their usual caregivers. Respite care options include in home care, care in a facility, as needed care or regularly scheduled care. Respite care allows the caregiver time to rest, relax, and take care of themselves. Caregiver Support Providers are companies or organizations that provide resources and information for caregivers including financial assistance, educational information, legal advice, dietary resources and more. Support Groups are meetings for caregivers to sit down and share their feelings, emotions and burdens with others experiencing the same things. Support groups are geared toward meeting the emotional needs of the individuals and are sometimes facilitated by a social worker or therapist in the field. It’s very important to find a respite care provider that you and your loved one feel comfortable with. Some specialize in specific age demographics or disabilities. Here are some options in this area. The Toledo, Ohio area has great organizations that provide support to caregivers via resources, training and information. Here are a few to consider. If you are a caregiver looking for support resources, there are several groups you can reach out to in the area. If you don’t see a support group that fits your needs in the list below, try contacting your doctor, health care provider, or local community centers including churches, libraries, temples, mosques, or synagogues to ask about support groups devoted to individuals in your situation. If you are located in the Toledo, Ohio area, review the local support group resources listed below. Having a nonjudgmental environment as provided in a support group setting, to express yourself openly and honestly is a vital coping tool for anyone experiencing an especially stressful period in their lives. When you recognize you are in an understanding atmosphere, you will gradually begin to feel more comfortable expressing your feelings and sharing your life situations with the community. Sharing your experiences with others can be instrumental to the healing process, especially when you realize the extent of the support you have from your community. Becoming involved in a caregiver support group or seeking help from a caregiver support provider can be a great way of acquiring tips for how to deal with issues and concerns you experience as part of your role as caregiver. A community of caregivers actively share strategies and offer advice for helping others, which can be a great source of inspiration and encouragement for others who are dealing with difficult situations. When you have the opportunity to talk through issues, take time to care for yourself and consult with a community who can help you come up with solutions, you are bound to feel less anxious and stressed concerning your problems. As you become comfortable with your ability to manage your problems effectively, feelings of anxiety and depression will lessen substantially. Becoming more self-aware is a key component of acquiring a sense of control and cultivating a feeling of empowerment when facing challenges. As you learn more ways of managing problematic situations as a caregiver, realize that you have more resources available to you, and are able to take breaks for your responsibility, you will obtain insight into yourself, your needs, and your own boundaries. The more you learn about yourself, the better you’ll be able to determine the best strategies to use when combating your current problems. The goals of most support groups and networking organizations are centered around cultivating prosperity on both individual and group levels. While you will benefit from the advice and understanding you receive from others, a caregiver support system also gives you the opportunity to aid others as you develop. Being a caregiver can be difficult, but it is important to remember you are not alone. 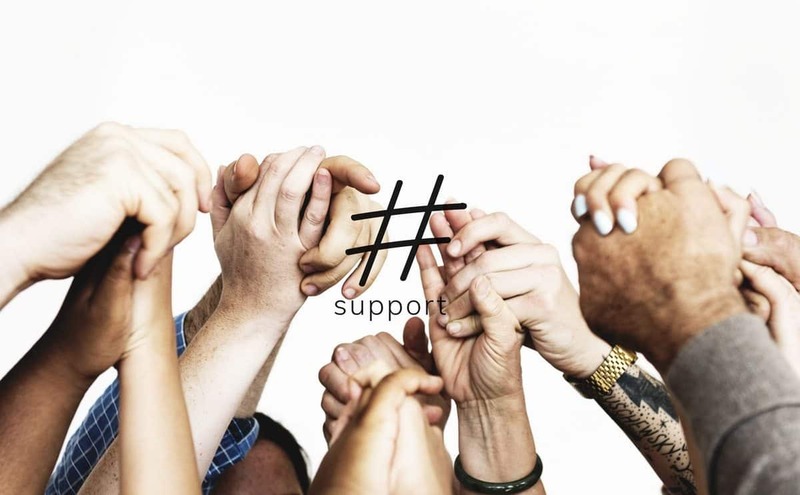 There is a community of your peers and professionals who can support you during this time, so don’t hesitate to reach out and find the caregiver support resources that will best fit your needs for what you are going through. Contact Arista Home Care Solutions or call 419-754-1897 to find out more about our respite care services. We can help.